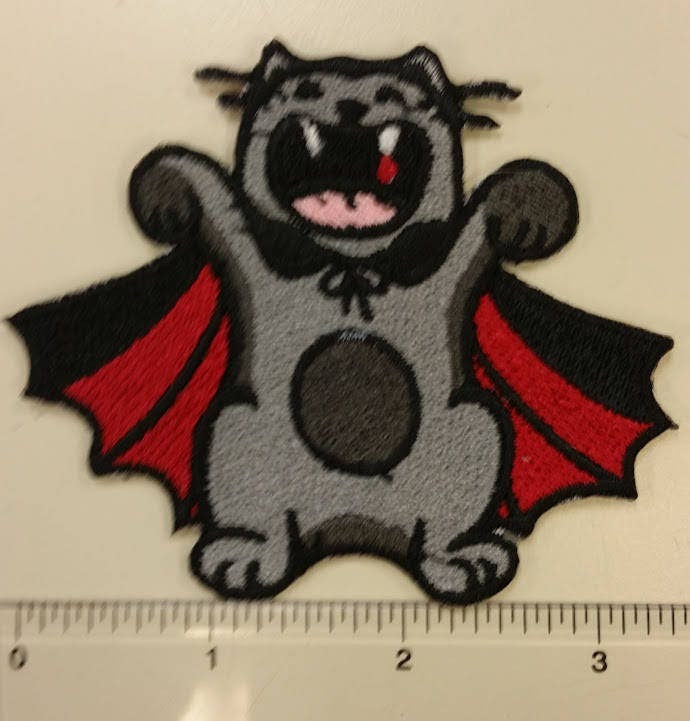 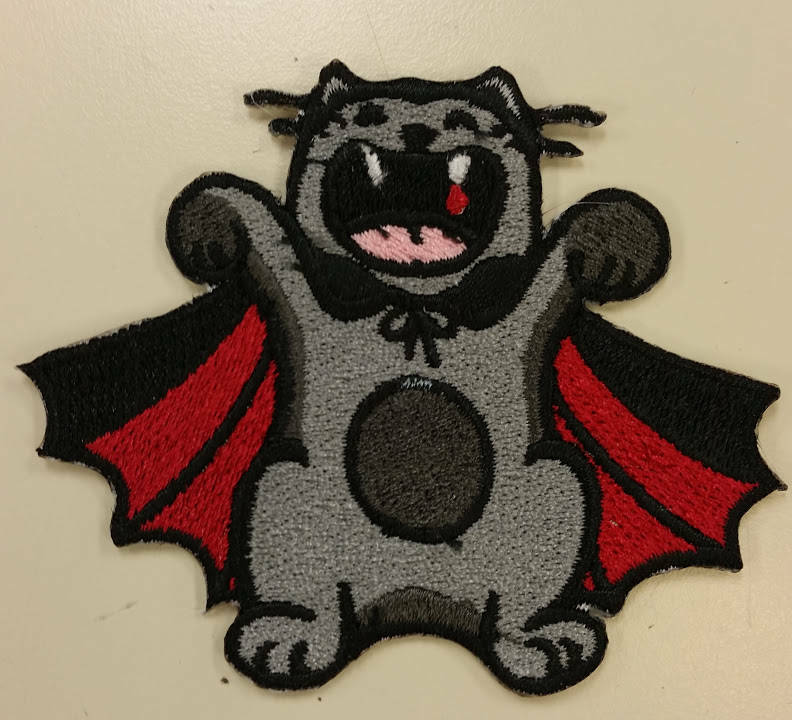 This scary cute kitty is embroidered with gray, charcoal, red, and black thread. 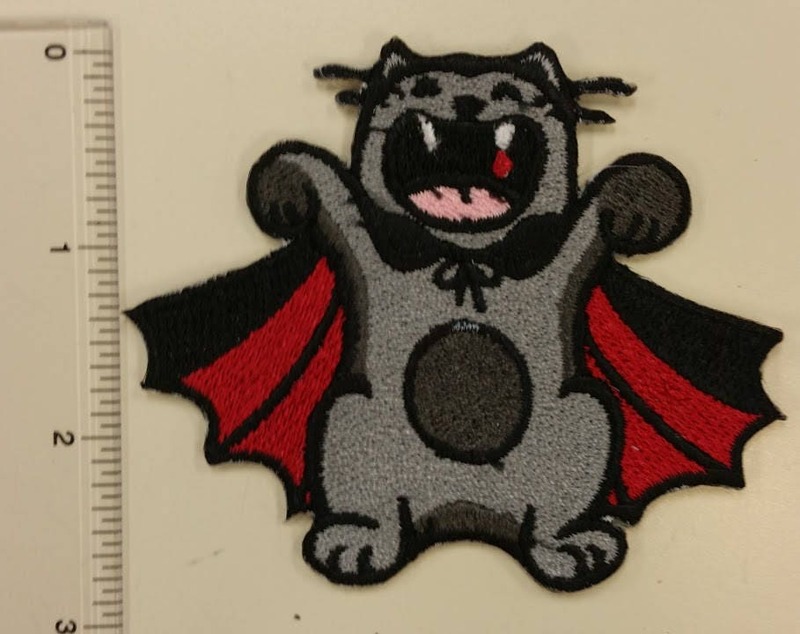 It measures approximately 3"W X 3"H. It has an iron on adhesive for easier application. 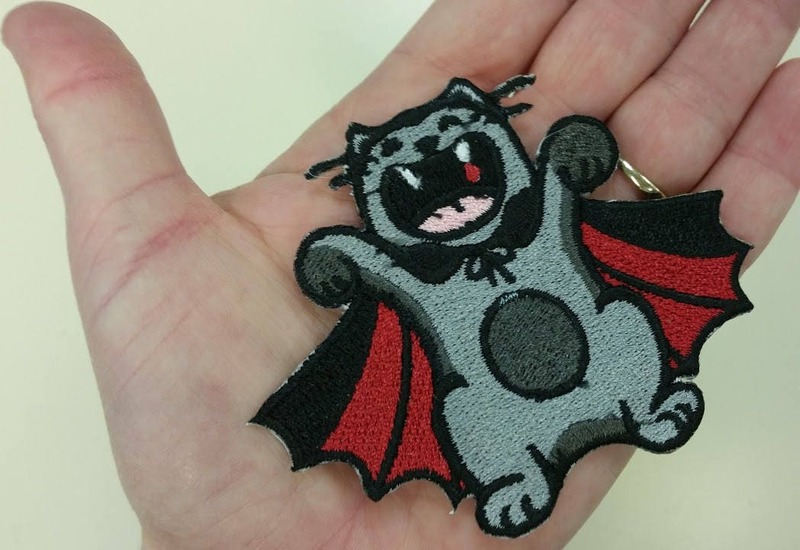 Add this patch to your halloween trick or treat back or apparel.